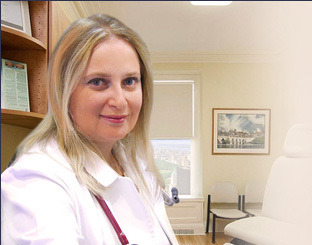 NYC Internist Dr. Marina Gafanovich Takes a Moment to Explain CDC Vaccination Recommendations. The Centers for Disease Control and Prevention (CDC) recommend vaccinations from birth through adulthood for lifetime protection against many diseases and infections. Healthy adults also need to be vaccinated for their own protection against infection and other health benefits, as the ability to continue daily activities. New York vaccinations also reduces the risk of transmitting infection to others; this will give protection to the entire community. Influenza and pertussis vaccines are recommended for every adult. Other important vaccines for adults are the human papillomavirus (HPV) vaccine which is recommended for women up to the age of 26 years; shingles vaccine is recommended for all adults over 60 years; pneumococcal vaccine is recommended for all adults over 65 years and for those with additional risk factors. Hepatitis A, hepatitis B, and meningococcal vaccines are recommended for adults with certain risk factors or conditions that increase their risk for serious complications. A recommendation for adults who have no evidence or proof of immunity to the traditionally childhood infections (as measles, mumps, rubella, and varicella) is to receive catch-up vaccinations. Vaccination against childhood communicable diseases is one of the most effective public health interventions available. Overall vaccination has had a significant effect on reducing illness and deaths from childhood diseases. Let us take a look at these different vaccinations against various diseases to better understand the reasons for immunization. Diphtheria is a potentially life-threatening respiratory tract illness, characterized by low-grade fevers, swollen lymph nodes, laryngitis and tonsillitis. Before the widespread use of immunization, more than 5% of people living in moderate climates suffered from clinical diphtheria at some point in their life. The estimation for diphtheria deaths in the case of not being vaccinated is an average incidence rate of 15 cases per 100,000 people and a rate of 2.5% cases of death in developed countries as America. New York vaccinations will reduce the risk of Diphteria. Tetanus vaccine is given in combination with other vaccines (diphtheria and pertussis) to protect against lock jaw, diphtheria and whooping cough. The recommendations for children are to receive a round of five tetanus vaccines, while adults are encouraged to get a vaccine every 10 years or in the case they are seriously wounded. 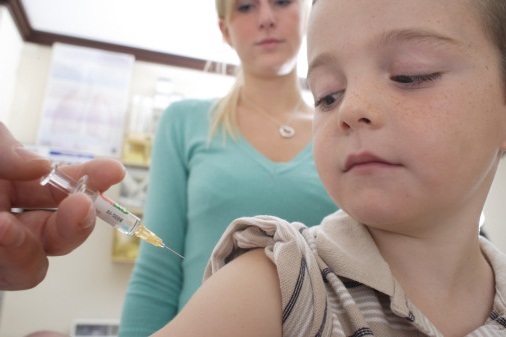 Tetanus vaccine is not recommended for people who suffered a severe allergic reaction to the vaccine in the past, including seizures within seven days of receiving the vaccination. Pertussis whooping cough is transmitted through close respiratory contact and occurs throughout the world. Mild or asymptomatic infections in adults are commonly transmitted to very young infants. The disease begins with 7 to 10 days of a runny nose progressing to a cough and vomiting while 10% of infants will suffer from clinical pneumonia. Immunization has resulted in a 92% decline in whooping cough disease infection and 99% decline in death associated with whooping cough disease. Although it’s commonly considered as a childhood illness, whooping cough infection is responsible for 9% to 20% of adults’ illness with upper respiratory tract infection and a cough lasting more than 7 days. Vaccinations in NYC will include Pertussis shot. Polio before polio vaccines we available, polio was mostly transmitted in school-age children. Although more than 90% of the infections were asymptomatic; 4% to 8% of children with polio had a high fever and less than 1% developed severe paralysis in their legs or arms. Measles is a severe respiratory viral infection. However children born to immune mothers are also protected against measles until they are 5 to 9 months old. 90% of those who catch the viral infection will develop the disease. Complications include pneumonia, diarrhea, encephalitis, and blindness, especially in children with vitamin A deficiency. Without the vaccination, the measles virus would infect almost 100 percent of the population. The United States in 2000 declared the elimination of Measles due to a successful measles vaccination program, as a part of overall New York vaccinations program. Mumps is a serious infectious disease which is spread by direct contact, airborne through contaminated saliva, and perhaps urine. When sick the parotid glands are swollen on both sides of the face right below and in front of the ear. Mumps was a common childhood disease children under the age of 15 were sick with the mumps, although adults may also catch it. This changed in 1969 when children began receiving the vaccination. Today babies and children receive the combined MMR (measles-mumps-rubella) vaccine. Vaccinations in NYC have proven to be very effective in preventing mumps in North America with a decrease in mumps by 96%. Rubella infection early in pregnancy is likely to damage the fetus, leading to miscarriage, stillbirth, or congenital rubella syndrome (CRS). CRS is a destructive syndrome that covers a variety of disorders, including cataracts, congenital heart defects, deafness, and mental retardation. The United States in 2004 declared the elimination of rubella due to measles-mumps-rubella (MMR) vaccination. Varicella, Chickenpox was once a very itchy childhood disease Most children under the age of 12 would catch chickenpox. It is a highly infectious disease with a rate of 61% to 100% infection. Chickenpox can cause dangerous complications as swelling of the brain, hepatitis, pneumonia and infections in the skin. At high risk are newborns and pregnant women and adults especially teachers and healthcare workers. In the United States adults represent 5% of new cases of chickenpox each year, but 55% of them get the serious VZV infection with may lead to death. VZV may cause the fetus congential varicella syndrome (CVS) which characteristics are slow neurocognitive development, under developed brain, limbs, and scars on the skin and eye diseases. Chickenpox is now preventable through the varicella vaccine, a routine part of Vaccinations in NYC. The reasons for choosing to vaccinate your child go beyond sparing them the uncomfortable blisters. Until we had the opportunity to get the vaccine 11,000 Americans were hospitalized as a result of chickenpox complications. Varicella or Herpes zoster virus is shingles is disease that occurs in anyone who had VZV infection. Shingles is a painful disease and the elderly over 85 have and 50% increased risk being sick. Therefore shingles vaccine is recommended for all adults over 60 when they undergo vaccinations in NYC. Hepatitis B In many developed countries, most transmission of hepatitis B occurs during or after adolescence, corresponding with the beginning of sexual activity and of drug abuse involving unsafe reuse of needles and syringes. The rate of symptomatic disease is only about 1% in infancy and 10% in early childhood, with an increase to 30% – 40% in adults. While most vaccine-preventable diseases that result in death occur at an early age, deaths from hepatitis B occur much later in life. Without vaccination 1.4 million worldwide would die in the future from hepatitis B while global vaccination of 35% would save more than 500,000 lives. Pneumonia is a serious respiratory tract infection and is the leading cause of death among children under 5. Despite the available powerful antibiotics between 1.9 -2.2 million children worldwide die from pneumonia. Prevention of Pneumonia is by the use of pneumococcal and influenza vaccinations, which have the potential of preventing 90 % of pneumococcal disease among children in the United States. Patients with severe chronic obstructive pulmonary disease (COPD) and smoking are at an increased the risk for pneumonia. Since the recent H1N1 pandemic in 2009 of influenza (the flu) causing pneumonia the best protection is a combined influenza and pneumococcal vaccine. This is one of the most wide-spread New York vaccinations. Influenza, flu virus is commonly spread in school-aged children since they’re the group with the highest rate of infection worldwide. Over 200 flu viruses exist, causing flu or flu like illness with a high fever, sore muscles, headaches and a cough. A high proportion of influenza infections are often asymptomatic or without a fever. Influenza can be life threatening and may require treatment in a hospital due to complications including pneumonia, chronic respiratory disease or non-respiratory complications. Flu vaccination can spare these high levels of illness and even death. Flu shots are recommended for the protection of people in all age groups, especially infants, children, the elderly and adults at high risk, due to their occupation (i.e. teachers and healthcare workers). Statistics shows between 86% – 92% choose to be protected by flu shots in America. There is a risk of side effects with any vaccination. Mild side effects usually do not interfere with daily activities and may include pain at the injection site, redness or swelling at the injection site, mild fever, tiredness, stomach ache, nausea, chills, rash, headache, body aches, sore joints and swollen glands. Moderate side effects which may interfere with daily activities, but do not usually require medical attention may include pain at the injection site, fever of over 102 degrees F, headache, nausea and an upset stomach. Severe side effects occur less than one in a million and cause the person the inability to perform daily activities and they require medical attention. These rare side effects may include problems in the nervous system or severe pain at the injection site. Vaccination is a very important step in preventing many diseases. Please call us 212-249-6218 or make an appointment online for a consultation with Dr Gafanovich regarding your vaccinations schedule.